An AC unit has a typical lifespan of 12-15 years; however, that lifespan can be either shorter or longer depending on how well it's taken care of. There are some things you can do as a homeowner to increase the longevity of your AC, as well as some professional maintenance HVAC companies in McDonough, GA, can provide to extend the lifespan even further. 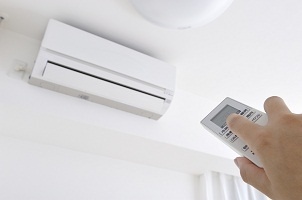 Here are some ways you can keep your AC running longer and more efficiently. Although you've probably heard the recommendation from HVAC companies in McDonough, GA, to change your filter regularly, you may not understand why this is so important. The reason it's so important to change the filter every 1-3 months (depending on use and conditions) is because it keeps dirt and dust out of your system. Dust may sound harmless, but it can actually place additional wear and tear on your AC components and cause eventual breakdowns and failure. The AC has to work harder to pull air through the system when the filter is dirty; an overworked system means things will wear out sooner. Another way to increase the lifespan of your AC unit is to make sure the air can move as freely as possible. That means you'll need to clear the area around the outdoor unit and make sure there's no shrubs, debris, or other vegetation that restrict the air flow around the AC. In addition, make sure the ducts and vents are clean so that the air can easily be delivered throughout the home. You can also help your AC last longer by reducing its overall load throughout the summer. That means you can conserve energy and reduce how often your AC runs by increasing the temperature on your thermostat a degree or two, with the optimal temperature being 78 degrees. In addition, use fans whenever possible to keep air moving so that you don't feel as hot when the thermostat is set a little higher. A programmable thermostat helps reduce the load even further by making sure the AC only runs when it's really necessary. Along with reducing your AC's load, make sure to block excess heat as much as possible. That means using blinds and drapes during the day to keep the sun out, but it also means reducing how much heat you produce inside your home. Limit indoor cooking and try to use heat-producing appliances during the cooler parts of the day. Finally, you can significantly increase the lifespan of your AC unit by trusting the professionals to do their job. 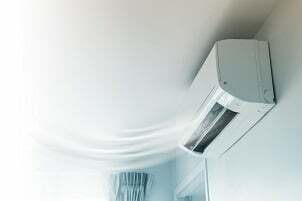 Don't overlook the importance of professional maintenance and tune-ups to prevent breakdowns as well as issues that could ultimately result in the need for premature AC replacement. Regular tune-ups increase the likelihood that your AC will run longer and more efficiently.